So you’ve decided to start a business. Now it’s time to register it. The process is different depending on the type of operation you're starting, how big it is, and what state you live in. Read on for a step-by-step guide on how to decide on a business structure, register your name, and get off to the races. So you’ve decided to start a business. Now it’s time to register it. The process is different depending on the type of operation you’re starting, how big it is, and what state you live in. Below, we’ll explain the basics of how to get your business registered. But remember, this article is for informational purposes only and is not a substitute for advice from a small-business consultant. The first step here is to decide on a business structure. The laws and registration process for sole proprietors, LLCs, corporations, and partnerships vary. the IRS is a good place to startonce you havea business entity in mind. After that comes registering your name. Registering your business name is usually part of the process of registering LLCs and corporations. But if you’re starting a sole proprietorship or a partnership operating under a name that isn’t your own (e.g., your name is John Smith but you want your business name to be something else), you may need to file a DBA (a “doing business as” name). A DBA can also be used by existing LLCs and corporations to register other businesses under them. For example, if you own a cafe and want to open another one under a different name, you would file a DBA. It keeps both the first and second cafe as one legal entity, but they get to use two names. A few states may not require a DBA as part of your business registration. You can check if your state requires one here. But before you register your name, make sure it’s eligible for use. You may also want to trademark it. A DBA does not automatically protect the name from being reused elsewhere. Next, you need to register your business with the IRS to receive your Employer Identification number (EIN). Your EIN is like a Social Security number for your business and is necessary for filing your taxes. You can sign up for one online here. Again, there are certain circumstances where you may not need one. To see if you do, the IRS has a short survey you can fill out. Once all the federal registrations are done, you’ll need to register your business with your state’s revenue office. If your business will need to charge state sales tax, you must also apply for a tax permit. For more on state-specific business registration, go here. Lastly, make sure you have all the right licenses and permits you need to begin serving customers. Each industry may have different requirements. 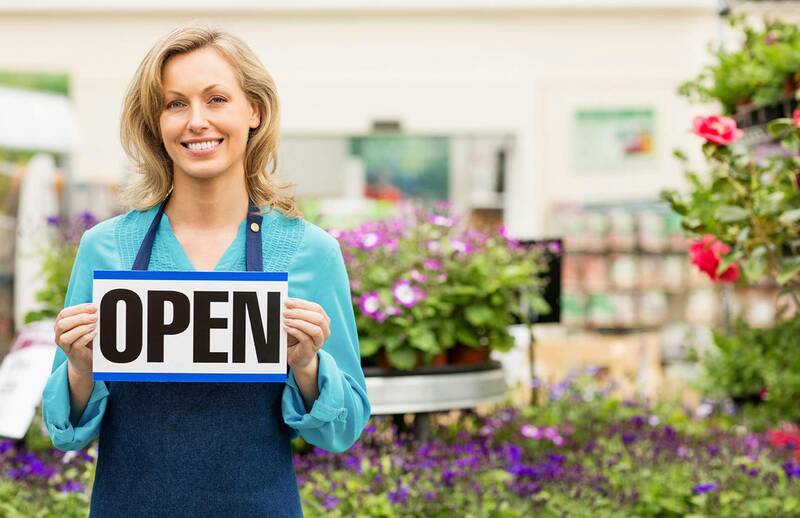 Thankfully, the U.S. Small Business Administration has created an easy way to search for the permits and licenses you need by entering your location and business type. Once you’ve registered your business and gotten the paperwork out of the way, you can focus on the fun part of your job: spreading the word and providing excellent service. For more information on how to start and run your business, check out the Management section of Town Square.